Naturally Sweet Sisters: First Infusion Set Insertion! Results from practicing on an orange... not practical, but fun! I have always been in awe at people that tell me their toddler can change infusion sites (and yes, some really do!) or that their tween has been doing them solo for years (I know several homes where this happens every single time - what cool kids!). In our house, insulin pump infusion site insertion was my responsibility. No one else seemed to want (or even could) do one. Thinking back to those first few years where even our Naturally Sweet Dad (poor guy because he really did try!) would attempt to take a turn at inserting a cannula and two screaming children would run and hide.... yep, it was made very clear that it was my job and only my job. I also worried about forcing my children to do something that they were not ready for. 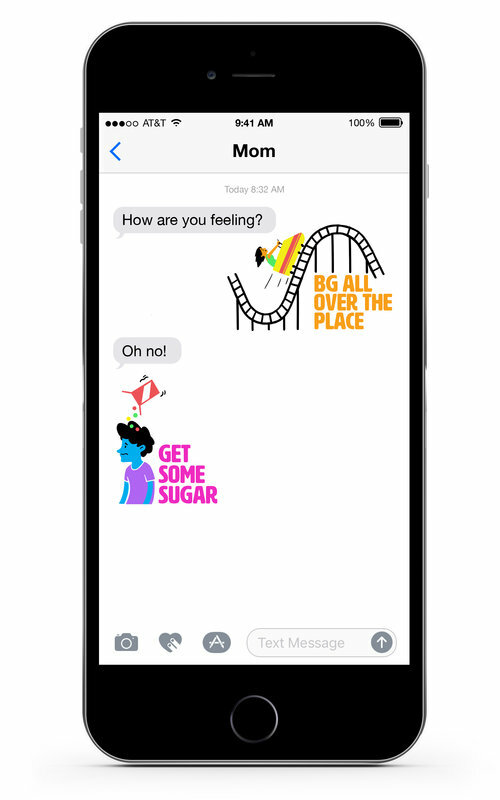 With the idea of 'kids first, diabetes second', it was always on mind that until we have a cure, there would be plenty of time to learn how to take this last step on. Really, there is no rush for these kinds of things. One issue that I never knew quite how to contend with was safety. Without being able to muster the courage to perform an infusion set insertion, my kids were never fully safe. I always needed to be close by just in case that site popped out. With swimming during the past few weeks, this idea really bothered all of us. No child wants Mom hanging around when all of their friends are flying solo. I get it. I was once the same age and even though I think I am cool, sadly, the tween crowd does not. See how cool I am with messy hair and no make-up? My kids are lucky! Today, however, something wonderful happened. This week, we had our local coffee group and the conversation turned to diabetes camp and things that we would like our children to experience or learn while they are there. My thoughts immediately went to that insertion step and I spoke to a few of the moms of how I still worried at the thought that my girls couldn't perform this on themselves. We even talked about the infusion set type that we used, the Inset 30 and how that loud "CLICK" at the end was intimidating and scary to them. One mom told a story of changing her infusion set to the Inset - a straight needle set just to help her son overcome his fears. I pondered that idea on the way home but then thought of the million and half Inset 30s (I freely admit that I hoard diabetes supplies due to an irrational fear that one day we many no longer have access to them... then what???? My hoard!) that we have in the supply cabinet and brushed that thought away. The frugal side of me feels compelled to use them up. With no idea of how to help my daughters overcome that infusion set insertion fear, I started to fill out their 2013 diabetes camp applications. One part of the application is devoted to "what you would like your child to learn while at camp about managing their diabetes". I added a few lines about continuing to build their confidence in living with type 1 diabetes AND to try an insertion for the first time. I thought that maybe in a group setting, with a little healthy peer pressure, at least my oldest daughter might want to try it. "Eeeeew! I don't even like when YOU do it and I am NOT going to like it any better when I do it!" .....and I listened to a variety of other things that were shouted out, but you get the gist of it. The idea sounded stinky and they both made it perfectly clear that they wanted nothing to do with inserting an infusion site. I finished the 2 - minute drive home and we didn't speak about it any further. However, the next morning (today in fact), Oldest Daughter once again was perilously close to being completely out of insulin (we are both really getting frustrated with 200 unit cartridge limits and puberty needs -argh!). As her pump alarmed, denying her the 13 units that she needed to cover her breakfast, we had no choice but to run upstairs and start a new site change. Braving more complaints, I cautiously brought up the idea of our daughters doing site insertions but this time, I also mentioned something new.... MORE FREEDOM! Now this is something that will sing sweetly to any kid that is on the cusp of teenagehood. I know that my Oldest Daughter has grand plans for one day being able to spend an entire day walking around the mall with her girlfriends. I know she has heard stories of friends going on vacation together - miles away from mom and dad. I know that she is young enough to spend a lot of time dreaming about her first dorm room and imagining herself in a position to be on her own. None of which will ever be allowed if she can't manage her own site insertion. Without as much as a stutter, she grabbed the site and said, "OK. I am going to do this." She held the pink Inset 30 up to her belly, where it was freshly swabbed with IVPrep and placed the feet firmly on the tummy. After a couple of false starts and sweaty, shaking hands, she "CLICKED" and the insertion was in. I did have to help her with the removal of the insertion needle as she was afraid of ripping it out (it does happen) but not a single problem occurred. Then, much to my surprise, our Youngest Daughter said, "I want to do it too. Except I am going to do it on my arm." She sat down, pulled one leg up and draped her arm over the knee so that she was in a semi-pretzel position and quickly wiped her arm clean. A moment more, with zero hesitation, and "CLICK", the site was in. This time, oldest daughter helped to hold the site in place while youngest daughter removed the needle. "I get more freedom too, right Mom?" she said while grinning ear to ear. For a second, Oldest Daughter looked a little crestfallen as her little sister stole part of her new limelight. Then, she cheered up and said, "Can we go to the mall now?" The moral of the story, is be careful of what you wish for moms and dads - I say this as we are just about to head to the ATM. Seriously though, it is GREAT and I am breathing a sigh of relief at one more way to keep them both a bit safer! 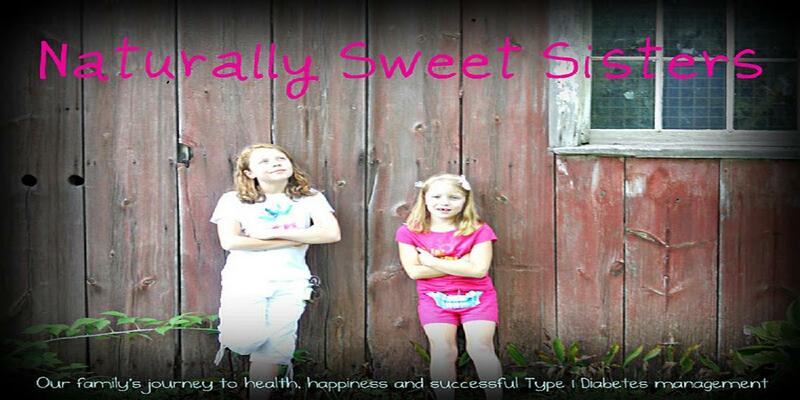 Way to go to the Naturally Sweet Sisters!!!! What a beautiful story! Sometimes they take their next step of independence when you least expect it! Wow, she did her own arm site too...awesome! Love hearing this and seeing the pride and excitement in those beautiful smiles! Great job! Thank you! They were pretty excited. 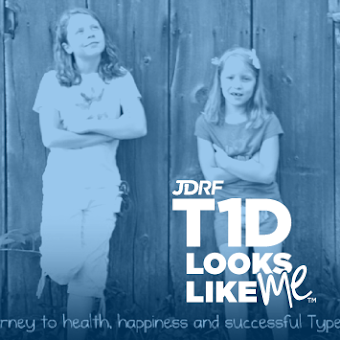 The second one wasn't quite as good.... but I chalk it up to the ups and downs of real parenting/life with t1d. You win some and you lose some. Maybe third will be a charm? You mentioned swimming in your post: I don't know if it's available in the US as I live in the UK but my Nurse gave me something called Coloplast Barrier Film Spray ; it's silicone based but acts like an extra layer of skin and helps the adhesive stay on longer. May I ask what the band-aid stickers your daughters use on there pump sites are called as I can't seem to find one with a good fit.. the band-aid you are using looks the perfect size. The girls are a bit older now and in fact, oldest is 14! They have come a long ways in inserting sites. Still not a favorite, but more doable. They have not inserted a CGM though. That is on a shorter list of goals. If you have words of wisdom, they would love to hear it. The tape is called IV3000 and we choose the version with the center already cut out to go right over the infusion site. It is great stuff. I believe that it is available in the UK or perhaps you could order it. I do not think a script is needed.